I would like to welcome you to the Lancaster County EMS Website. I hope you find it informative as you learn about the services we provide to our county. Lancaster County EMS takes pride in providing professional service to Lancaster County and its visitors. Lancaster County EMS strives to be on the cutting edge of Emergency Health Care. Our Medics undergo a battery of National, State and County continuing educational programs to maintain the highest level of skills. To supplement those trainings , we regularly send medics to state competitions to increase teamwork and networking within our state. Lancaster County EMS is comprised of 48 Paramedics, 7 Advanced EMTs, and 24 EMTs. Twenty Five Medics are crossed trained in High Angle/Low Angle Rescue, Search and Rescue, Swift Water Rescue and make up the Lancaster County EMS STAR Team which can be deployed for these specialized rescues. Our website only provides a small amount of info on our service. If you have any questions or suggestions, please feel free to contact us. Thanks to our medics who go above and beyond to make Lancaster County EMS one of the best services in the state! It is with great pleasure that we announce that our own Greg Brasington has been awarded. Click Here For More info. Come join our family at EMS. Click Here For More info. Lancaster County EMS is currently accepting applications. We are a high performance, industry leading organization that provides employees with the best tools and training anywhere in EMS. Lancaster County EMS values hard work, ingenuity, teamwork and an unyielding commitment to patient care. On a daily basis our staff cares for our county citizens and visitors with the commitment to providing the best available emergency care possible. 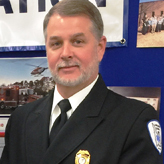 The work we do at LCEMS is challenging, rewarding, and highly valued by the community we serve. Does this sound like the type of Agency that you would like to work for? If so, we definitely want to hear from you.
" 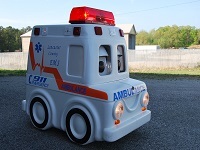 Andy the Ambulance "
Lancaster County EMS was founded in 1971 as one of the first non-funeral home EMS Systems in South Carolina. The first EMT class in South Carolina was held in Lancaster County in 1971. We also had one of the first AED programs in the state in 1985. In 1997, LCEMS had the first pre-hospital RSI programs in SC, NC or Georgia. 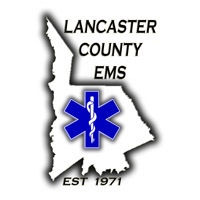 Lancaster County EMS has won many state and regional awards, including Large System of the Year, Paramedic and Intermediate EMT of the Year, and Director of the Year. LCEMS has had a team in the SC Paramedic competition finals 10 times. Lancaster County EMS responds to more than 16,000 calls for service each year.